One of the many in-house capabilities that Pendarvis Manufacturing has available to our customers is the ability to prototype your complex part as well as produce it in short run (small volume) quantities. 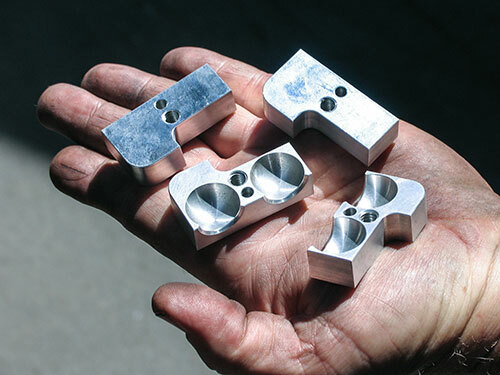 Using the same equipment that is utilized for our precision CNC machining production processes, Pendarvis Manufacturing can accurately deliver a prototype as well as a small volume run of your machined component. Prototyping can be handled in a variety of ways. If you have an existing CAD/CAM file or CNC program, we obviously have the experienced staff and in-house equipment to create your prototype. On the other hand, if all you have is a rough idea of the part, we can take your hand-drawn sketch and run with that as well. Pendarvis Manufacturing can provide design assistance, engineering assistance, determine the manufacturability of the component, and recommend the best material for your part. Our knowledgeable staff has years of experience with CNC machining in southern California using AutoCAD to design and SURFCAM to program the CNC machines. You can be confident that, with over a quarter of a century of combined machining and prototyping experience, the prototype we deliver will meet and exceed your expectations. Once the prototype piece is approved, a short run can be handled quickly and efficiently. From a rough idea to a CAD file, take advantage of Pendarvis Manufacturing's years of experience in precision machining in southern California and let us develop and produce your unique prototyping/short run product! Just call or email us today. Also see our high speed machining project portfolio.